Mangaluru , April 17,2017: It is reported that Police have arrested a man for the murder of Paul Goveas at Hosabettu, Moodbidri. Mangaluru Police Commissioner M Chandra Sekhar stated on April 16, Sunday the arrested is Dolphi Goveas (35), the second son of Paul Goveas. Paul was murdered on April 14 when he was alone at home. Dolphi also tried to kill his elder brother Stany Goveas with a lethal weapon. During the interrogation, Dolphi had admitted that his father and elder brother had accused him of murdering his mother Lilly Goveas on January 20, 2015, when Lilly was found hanging under suspicious circumstances. Both Paul and Stany had also thrown him out of the house in 2014. There were disputes with regard to property as well, said the police commissioner. Dolphi had obtained court order a few days ago to collect his gold ornaments from his parental house. When he produced the order before his father and brother, they refused to hand over the ornaments. A team with Mangaluru North ACP Rajendra, CCRB ACP Valentine D’Souza, Inspector Anantha Padmanabha solved the case within two days. ’Qureshi is doing well’ : The commissioner said that DCP (Law and Order) has to submit a report on the health of Ahmed Qureshi, a suspect in the murder of Prakash Poojary. Two witnesses statements are yet to be collected as they have failed to turn up. Qureshi is doing well. Messages on his ill-health are rumours created by trouble mongers. 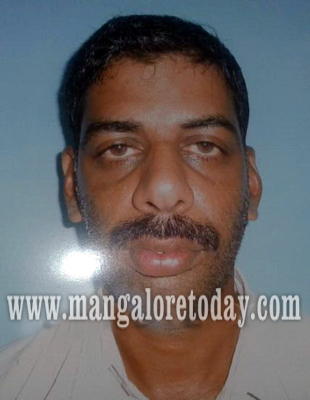 Qureshi is also wanted in murder attempt on Sudarshan in Surathkal and murder of Prakash Poojary. Misunderstanding between the family has lead to this incident. This man is worst than a animal . He has killed the one who has given life.